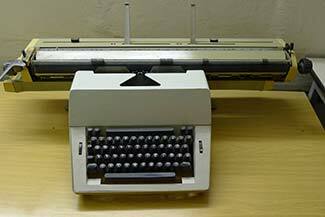 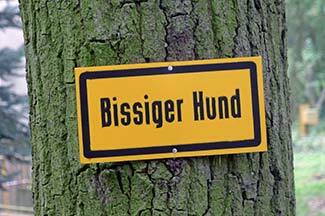 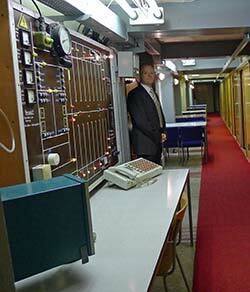 The Museum im Stasi-Bunker is on the outskirts of Machern, a small town east of Leipzig. 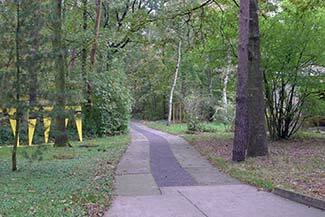 From a nearby parking area, you can walk up a wooded street until you reach the site. 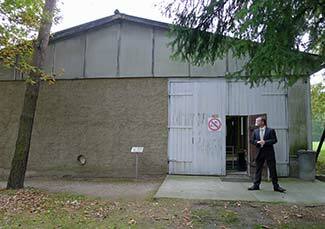 The former Stasi Bunker is surrounded by 2.1 hectares or 5.2 acres of woods, with a caretaker's house (hidden behind the trees at right) next to the entrance road. 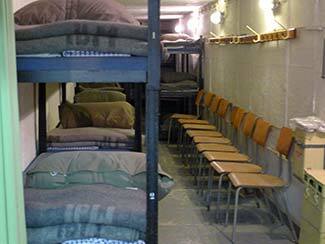 In the early 1970s, when the security service's underground command post was built, the official cover story ("a holiday camp for water and sewer workers") probably seemed believable to passersby from outside the neighborhood. 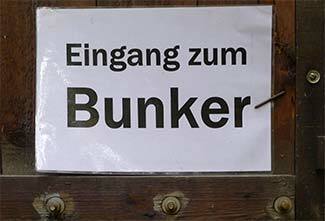 The entrance to the bunker is under a nondescript building that was intended to look like a garage or storage shed. 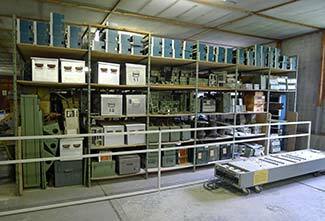 Inside the building, you can see equipment and supplies from the early 1970s. 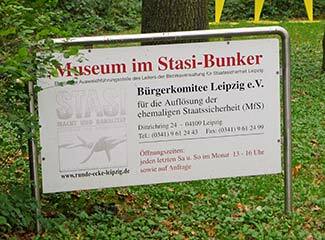 A paper sign marks the entrance to the Stasi Bunker, which is through a heavy door and down a flight of concrete stairs. 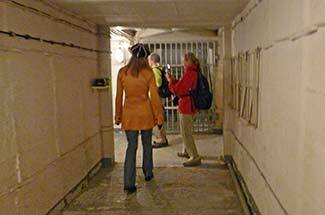 At the bottom of the stairs, a tunnel leads to the secure area of the bunker. 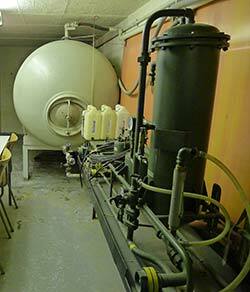 The Stasi Bunker's architects designed an airlock to seal out chemical, biological, or nuclear contaminants. 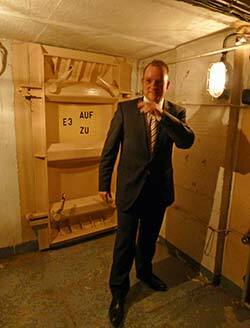 When passing through the airlock following an attack by NATO forces, Stasi officers would have been required to undress, shower, and put on clean clothes before leaving the entrance area. 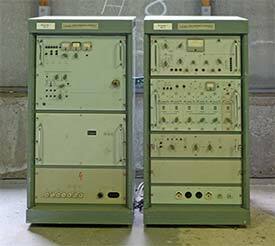 The Stasi Bunker was intended to be a temporary command post, with telephones, typewriters, and other communications equipment for the 120 Stasi officers and two KGB agents who would occupy the bunker in a military emergency. 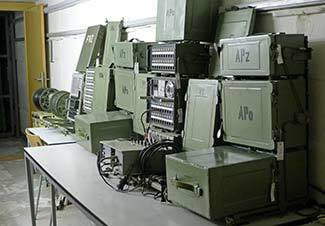 Furnishings were spartan and designed for short-term use, since the GDR's military strategists expected Russian troops to push NATO troops back to the North Sea within six days of an attack. 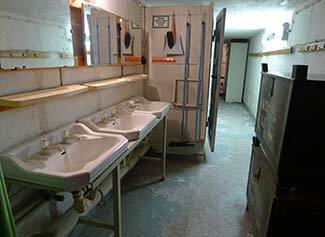 Still, the bunker did have modern plumbing, with a water-purification system to ensure a supply of fresh, uncontaminated water during a chemical, biological, or nuclear emergency.